A healthy diet is important. 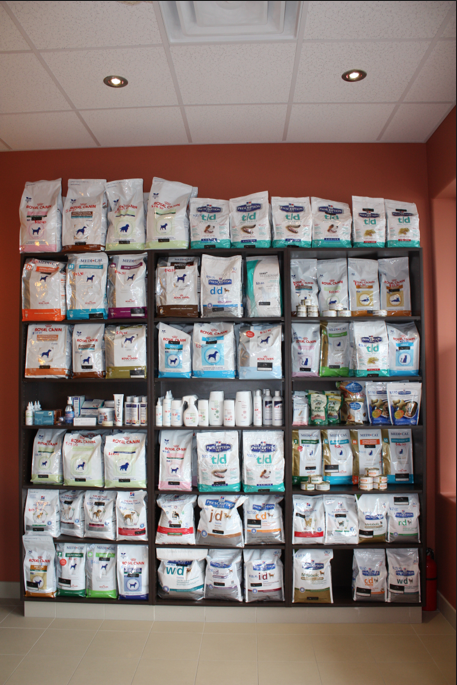 Pet nutrition is of major importance in veterinary medicine as it has a significant impact on the health and well being of all pets. It plays a fundamental role in both the prevention and treatment of disease. At Vellore Woods Veterinary Clinic and Pet Dental Centre we provide you with a scientifically proven veterinarian-excluvise prescription diet. Please feel free to ask us about proper nutrition for your pet - it is one of the easiest things you can do to make sure your pet lives a long, happy, and healthy life!